Plant defensins are divided into 18 groups and are multifunctional proteins. The Zea mays defensin 1 (ZmDEF1) gene encodes the defensin 1 protein, which can inhibit alpha-amylase in the insect gut. In this study, the ZmDEF1 gene was transferred into two maize cultivars, LC1 and LVN99, to improve weevil resistance in maize. The recombinant ZmDEF1 protein was assessed for its ability to inhibit alpha-amylase in the gut of the larvae of the maize weevil (Sitophilus zeamais Motsch.). ZmDEF1 was cloned into a pBetaPhaso-dest vector, which harbours phaseolin, a seed-specific promoter, and the Agrobacterium tumefaciens strain C58 harbouring the pBetaPhaso-ZmDEF1 vector was used to transfer the ZmDEF1 gene into two maize cultivars using immature embryos. Transformed calluses were selected on selection media containing kanamycin. The stable integration of the ZmDEF1 transgene into the transgenic maize plant genome was confirmed using Southern blotting. The recombinant ZmDEF1 protein of approximately 10 kDa was expressed in three transgenic maize lines from the LC1 cultivar (C1, C3, and C5) and two transgenic maize lines from the LVN99 cultivar (L1 and L3). The ZmDEF1 transgenic efficiency based on the results of PCR, as well as Southern and Western blotting, was 1.32% and 0.82%, respectively, which depends on the genotypes of LC1 and LVN99. The recombinant ZmDEF1 protein inhibited the alpha-amylase activity of the maize weevil larvae, and its ability to inhibit alpha-amylase is 54.52–63.09% greater than the ZmDEF1 protein extracted from non-transgenic plants. 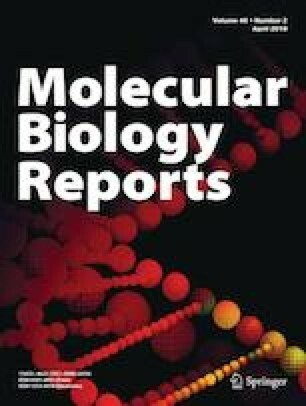 The authors would like to express their gratefulness for the help of the Key Laboratory of Gene Technology, Institute of Biotechnology, Vietnam Academy of Science and Technology. Conceived and designed the experiments: TXTV, VSL, HMC, TNLN. Performed the experiments: TXTV, THNP, THYN, HQN, QTT. Performed analyses and wrote the article: TXTV, HMC, TNLN. Made the Proof-reading: HMC, TNLN. This article does not contain any studies conducted on human.